Am I ready to change the life I am living? Am I ready to change within? 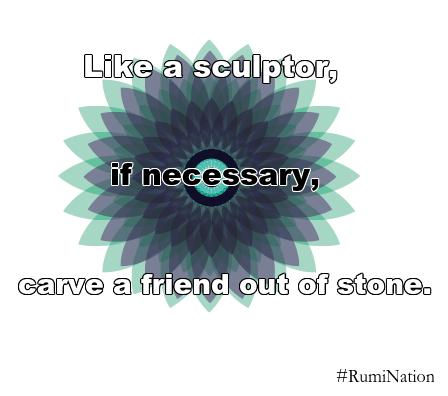 * Actualize, disrupt and source the power in you using the poetry of Rumi! * Wage a holy war against obstacles of your personal fulfillment! Devised by Vikki Anderson, Jesse Ash, Piotr Biernat, Naomi Skwarna and Andrew Shaver, RumiNation™ is a theatre event that engages the audience in questions of corporate and cultural appropriation, devised as a spiritual retreat. This is a workshop presentation featuring Mina James, Owais Lightwala, Anand Rajaram and Andrew Shaver.